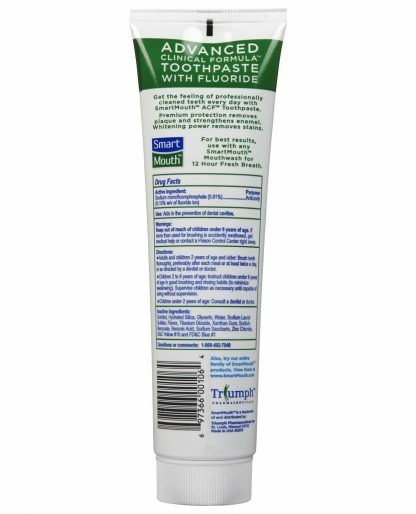 SmartMouth Advanced Clinical Formula Toothpaste with Fluoride is simply the best toothpaste on the market. 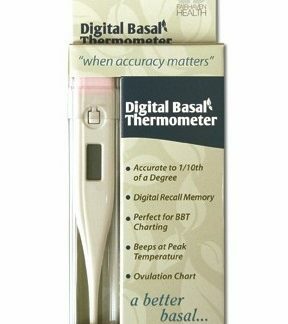 Not only does it clean your teeth, it gives you the feeling of professionally clean teeth. 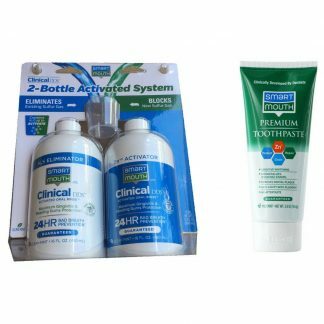 When used in conjunction with the SmartMouth Mouthwash, you can have clean teeth and fresh breath all day long! This SmartMouth Whitening Toothpaste with Fluoride protects your teeth from cavities, removes plaque and prevents gingivitis when used as part of your regular oral hygiene. The zinc ions boost fresh breath and the whitening ingredients help remove stains and reveal the natural whiteness of your teeth. Regular brushing with this Smartmouth Toothpaste will give you a whiter and brighter smile, and the taste of fresh mint keeps morning breath away and gives you fresh breath everyone can enjoy. Use SmartMouth Advanced Clinical Formula Toothpaste and mouthwash every time you brush for a beautiful, whiter smile. SmartMouth was created by Dr. Marvin Cohen, author of the bad breath (halitosis) section of the Encyclopedia Britannica, 1998 Medical Edition. 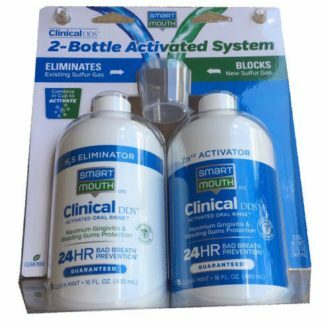 Smartmouth’s patented zinc ion technology was invented by Dr. Israel Kleinberg, Chairman of Oral Biology and Pathology, at the State University of New York, Stony Brook. Please note: Due to weight, Smart Mouth does not qualify for Free Shipping. 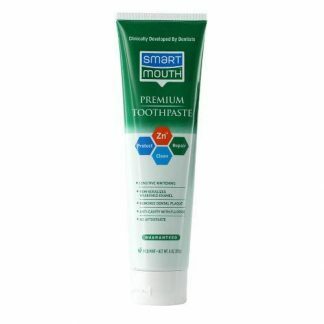 SmartMouth Advanced Clinical Formula Toothpaste freshens breath with Smart-Zinc technology. This anti-cavity, anti-plaque whitening toothpaste with fluoride gives you 12 hour fresh breath – just like the mouthwash – while giving you the feeling of professionally cleaned teeth. 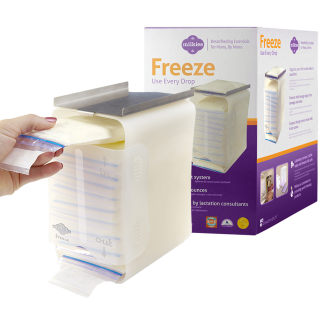 The whitening ingredient removes stains while strengthening your enamel.